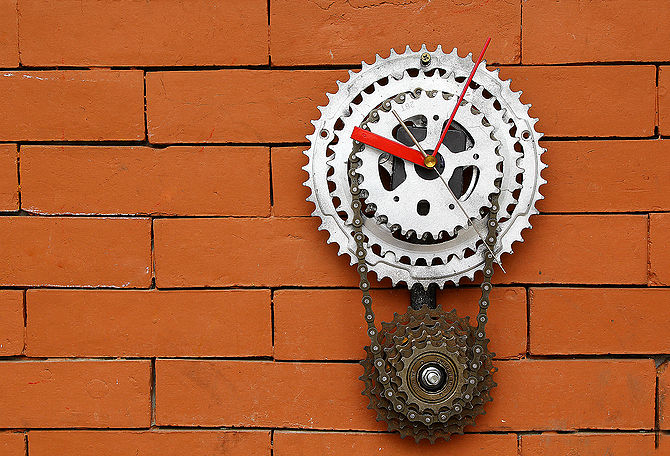 Make A Bicycle Gear Clock #ArtTuesday « Adafruit Industries – Makers, hackers, artists, designers and engineers! Got a lot of bicycle scraps like old rusty gears and broken chains? Reuse them, turn them into something useful and add attraction to your room.